I grew up in the 80s and I'm convinced it was the greatest decade to experience childhood in. It stands as one of the most creative eras that pop culture has ever been through. This was a time when people were just throwing every idea at the wall and seeing what stuck, and if I'm being honest, a lot of crap stuck - but so much more of it was gold... Heck, even the crappy stuff can hit you in the nostalgias (I'm talking about you Kid n' Play animated series!). There's the obvious franchises that we all know and love: Transformers, Masters of the Universe, Thundercats... But there were so many more that have sadly faded into obscurity which were equally as great like Bionic Six, Food Fighters and Visionaries. My personal favorite was Silverhawks. Everything back then had a gimmick which made the toys awesome and unique, and everything had a jingle so it stayed in your head for years. The colors were bright, the characters were over the top and gosh darn it I miss the days when bad guys were bad and good guys were good. No plot twists, no anti-heroes, no politics - just good, clean, non-pc fun. All that being said, I had to draw it. All of it. 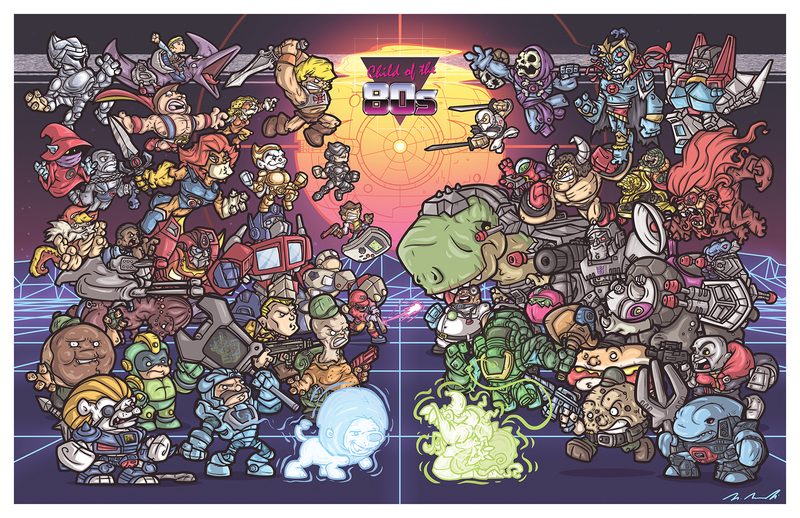 For a standard 11x17 print, I could sadly only fit so many franchises in, and really I just stuck to the ones that I liked the most growing up, but there's enough content out there to make a hundred of these kinds of prints... No I'm not making any more, Carpal Tunnel is a real thing and I'd like to avoid it. For the background, my goal was to capture the essence of my grade school trapper-keepers. Man I miss neon. 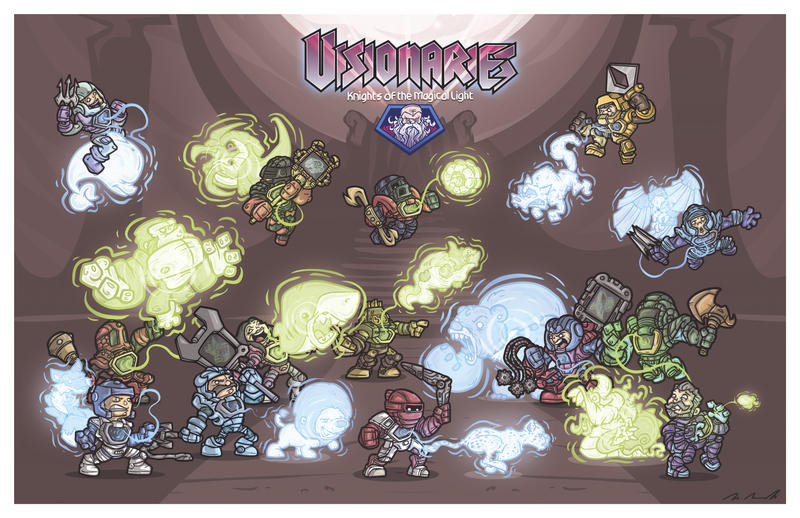 Before I finished the above illustration, I had been planning on doing a print for each individual franchise - I got as far as "Visionaries: Knights of the Magical Light" before realizing just how much work I was making for myself. So I finished that print and then just went ahead and did the mashup with a few handpicked favorites. If you knew the toys, I hope you enjoy this. If you didn't know the toys... I shed a tear for you. Kids these days don't know the joys of holograms.